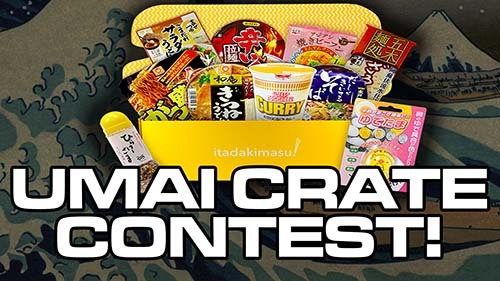 Win An Umai Crate Full Of Ramen From Japan! CONTEST HAS ENDED – THANK YOU FOR PARTICIPATING! This entry was posted in * News / Noodle News, Japan and tagged gifts, japan crate, japan crate coupon code, japanese treats, ramen contest, ramen giveaway, the ramen rater coupon code, umai crate coupon code on October 21, 2018 by Hans "The Ramen Rater" Lienesch.